as possible against assault of any kind! Sunday, April 23 from 2 PM to 5 PM. The address is 5738 Darlington Road, Squirrel Hill, PA 15217. You should wear some work-out clothes. 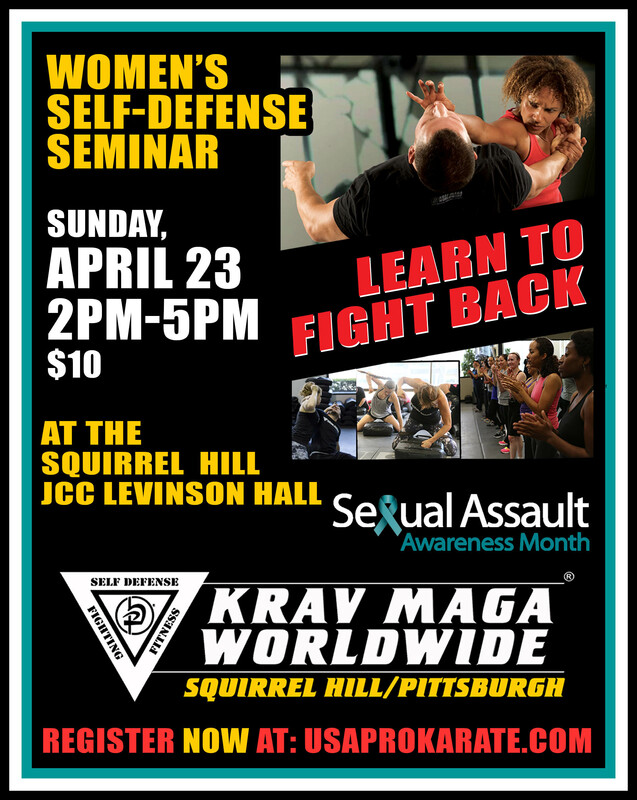 We will be practicing some realistic drills to help you be confident and introduce you to Krav Maga, the defense system developed and used by the Israeli Defense Forces. Every female deserves to be equipped with practical and effective self-defense!